There was an incredible amount of energy surrounding the undergraduate poster sessions during PhysCon 2016. Nearly 360 students eagerly shared experiences from summer Research Experiences for Undergraduates (REUs), sustained research experiences at their universities, and outreach projects conducted by their chapters. 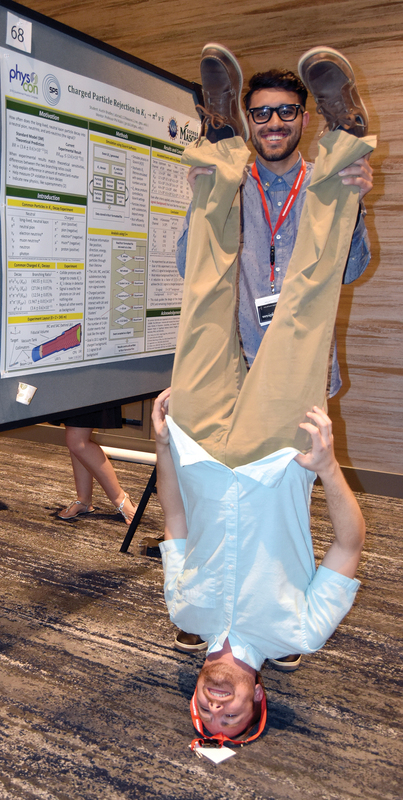 A dedicated group of faculty and graduate students made their way through the ballroom, providing feedback and making difficult decisions regarding which posters would win cash prizes from The Optical Society Foundation.